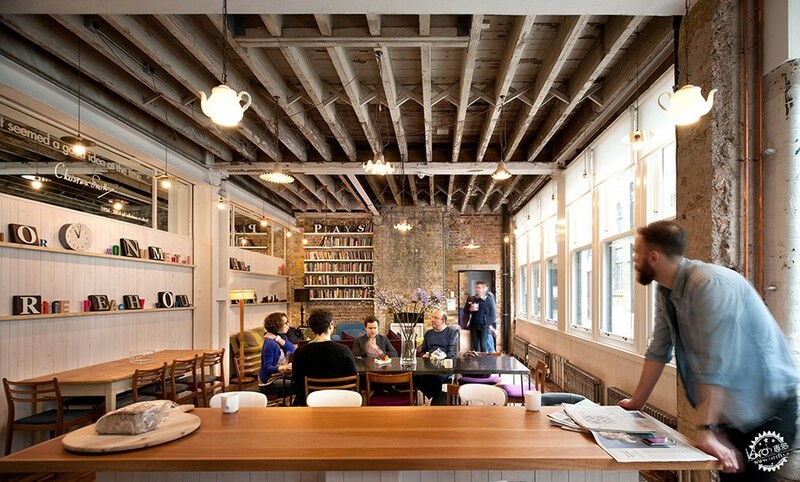 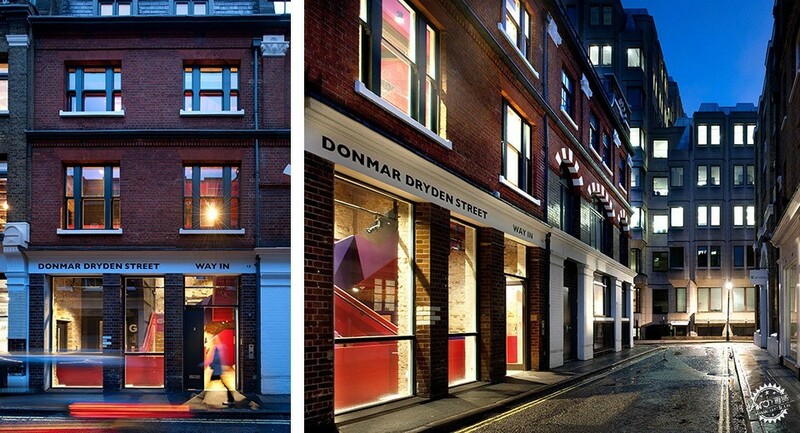 The Donmar Warehouse is a leading producing theatre company located in London’s Covent Garden. 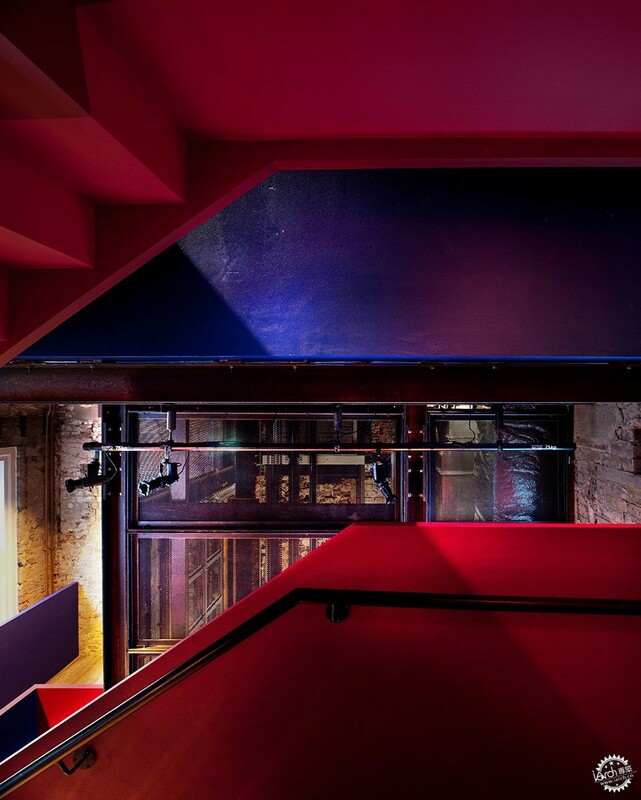 Having acquired a small 19th Century warehouse building in nearby Dryden Street, the theatre asked Haworth Tompkins to convert it for rehearsal, education and support facilities. 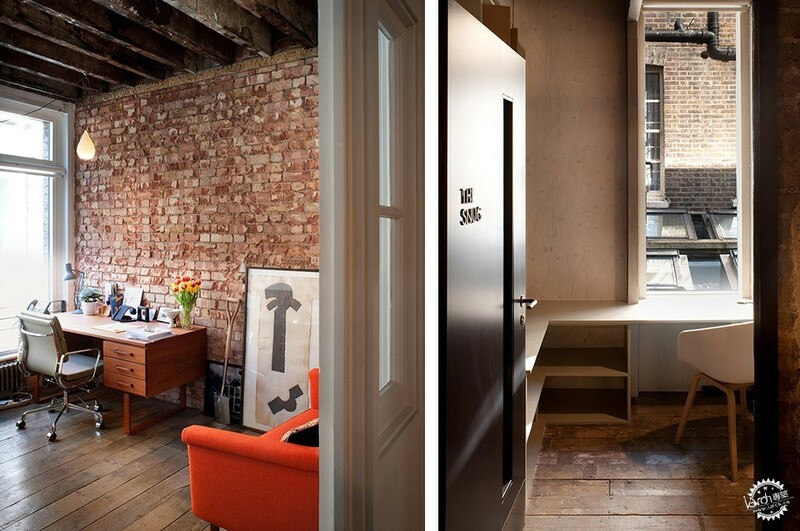 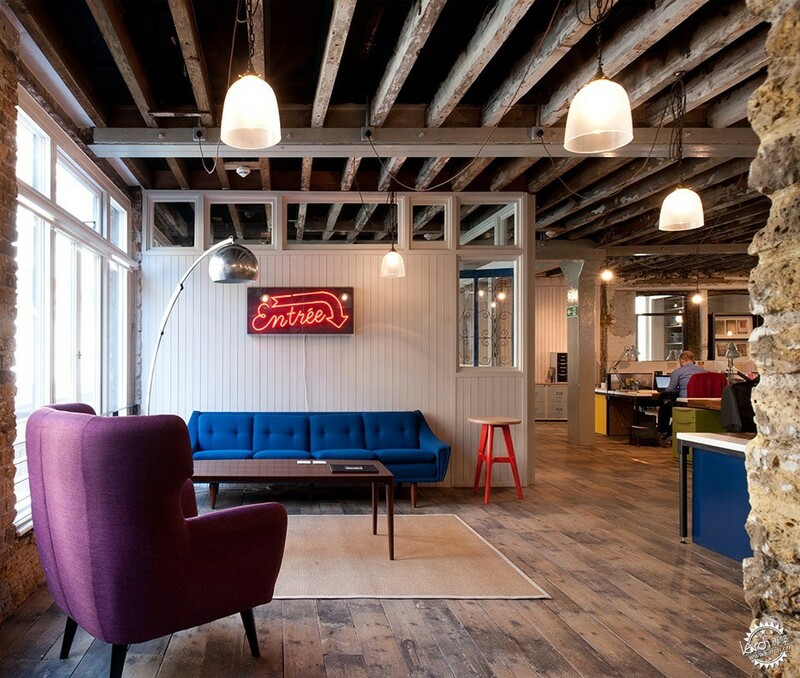 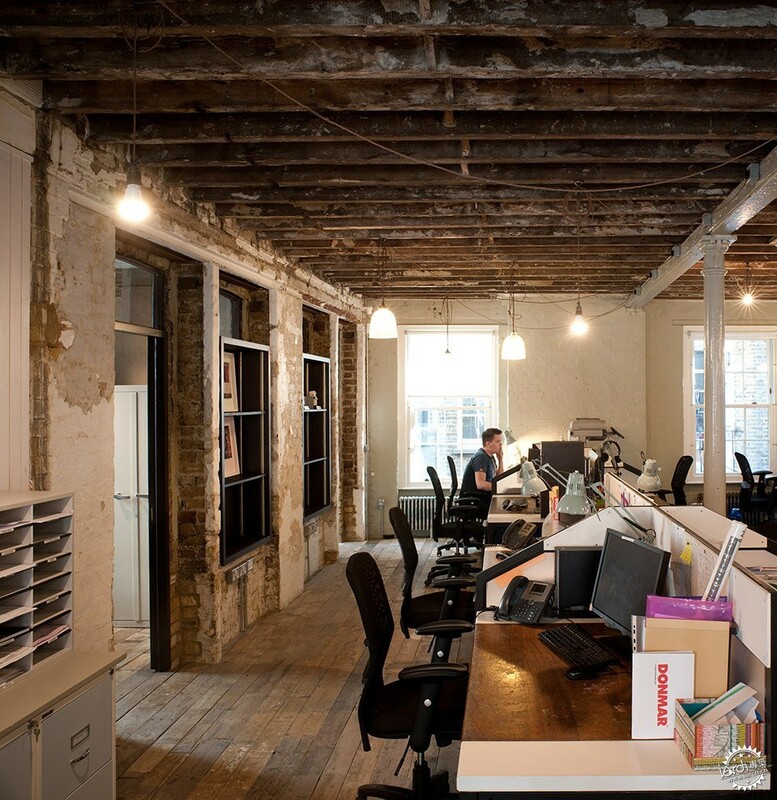 The challenge was to design a convivial and creative professional working environment within the constraints of a limited budget and a tightly enclosed site. 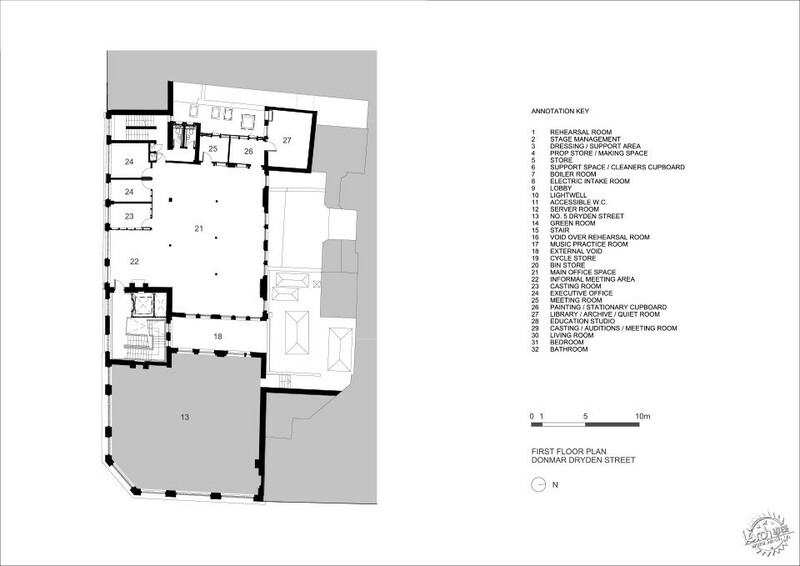 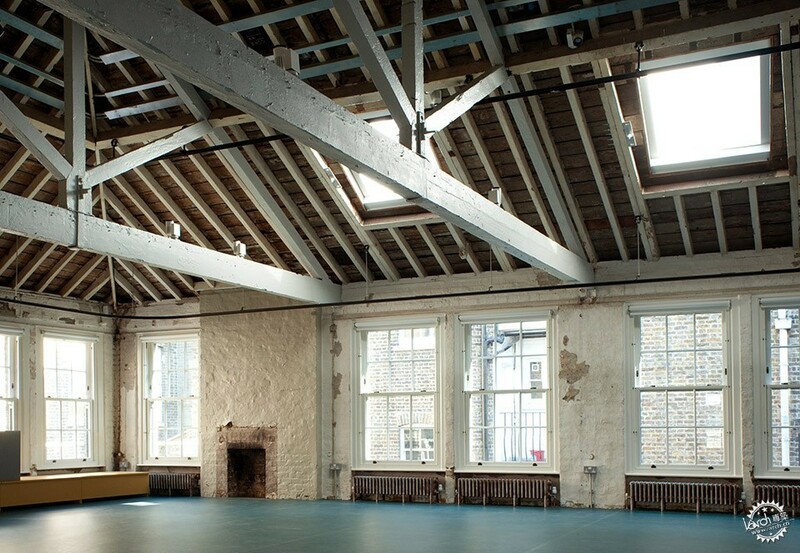 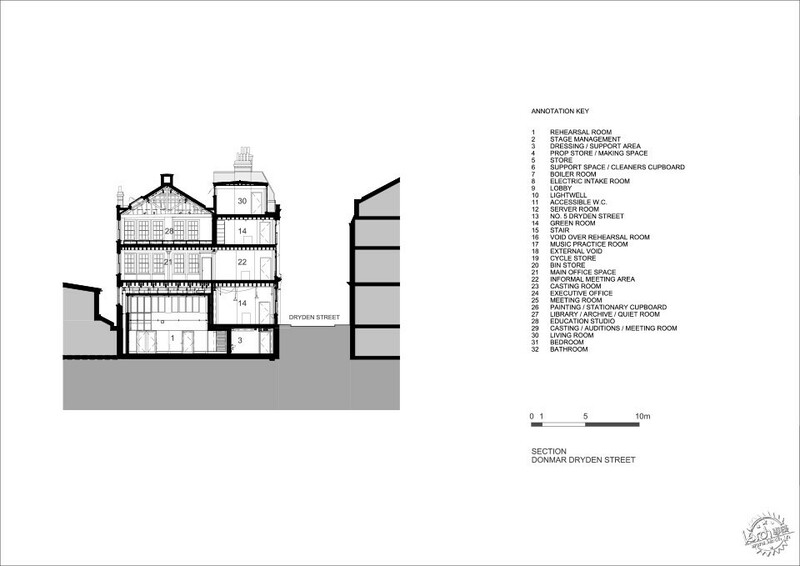 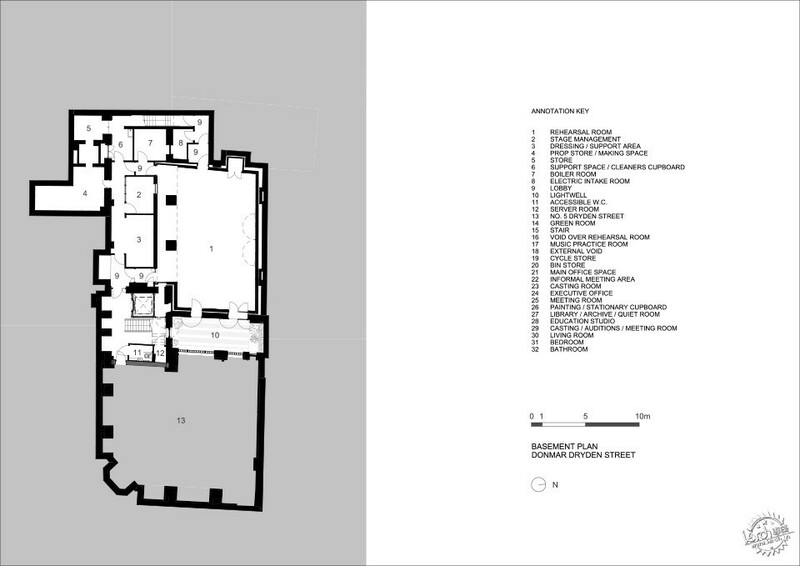 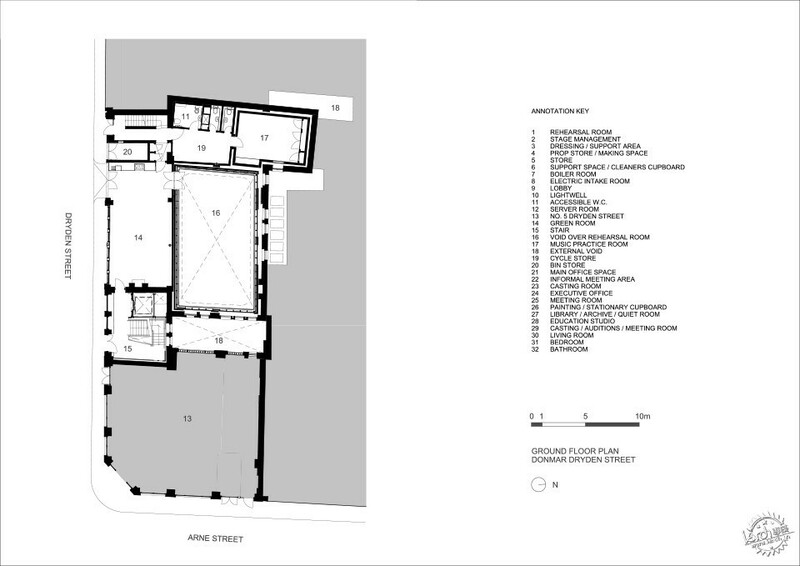 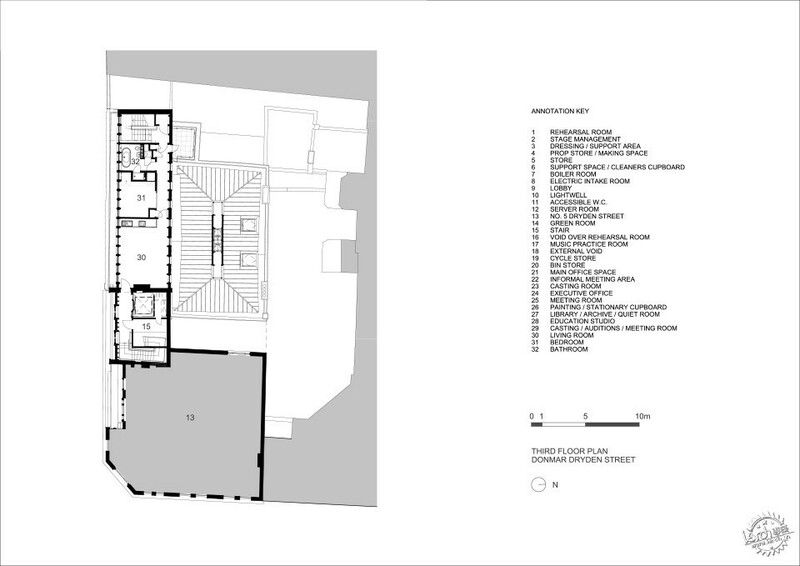 By removing existing floors, extending the roof space and re-planning the circulation routes, the new facility yields a double height rehearsal room of a similar size to the main Donmar stage, a street fronting green room, administration offices, a large education studio in the roof rafters and a new attic apartment for visiting artists. 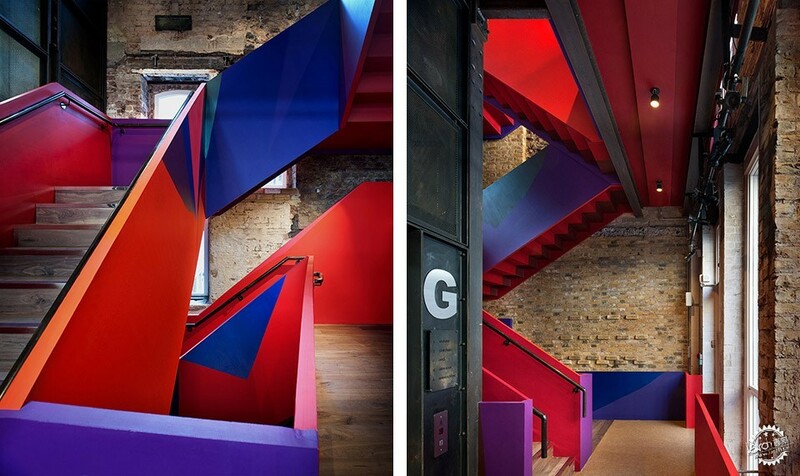 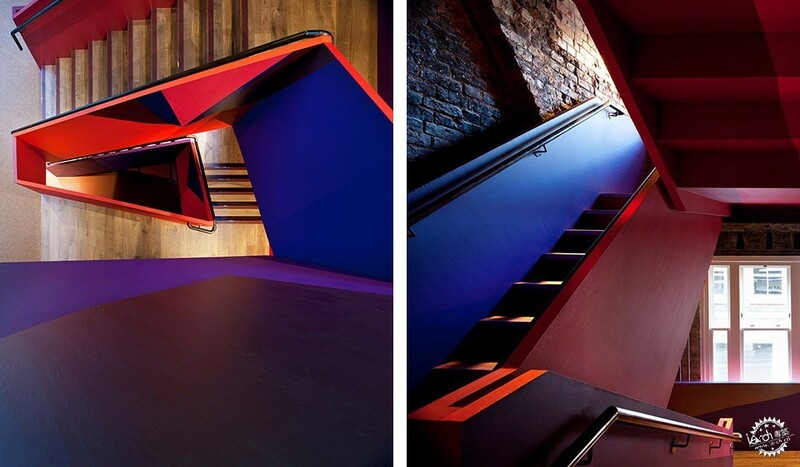 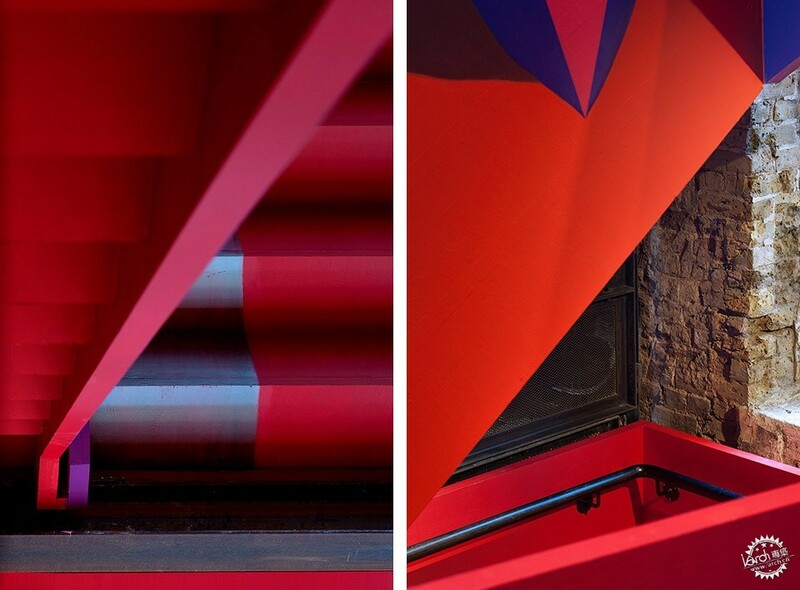 Stripped back and partially demolished walls and ceilings have been left raw as a suitably theatrical backdrop to the Donmar’s working life, with a new polychromatic staircase, hand painted by Haworth Tompkins’ regular collaborating artist Antoni Malinowski, as the warm heart of the building. 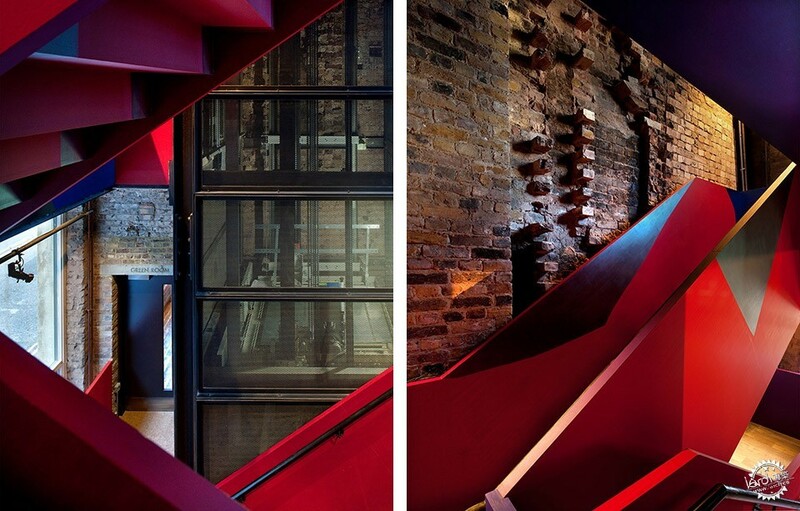 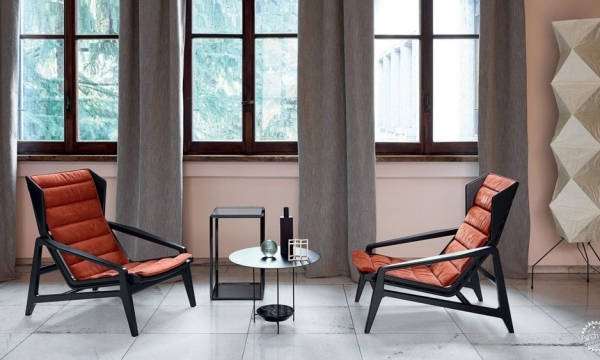 Scenographer and production designer Lucy Osborne has collaborated closely on finishing and furnishings, reinforcing the collective sense of a theatre production as much as a construction project. 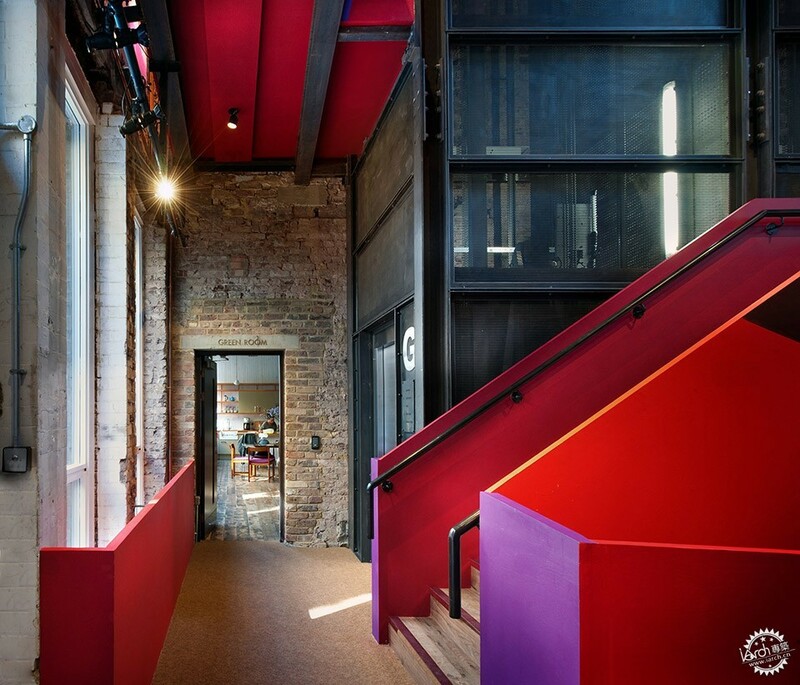 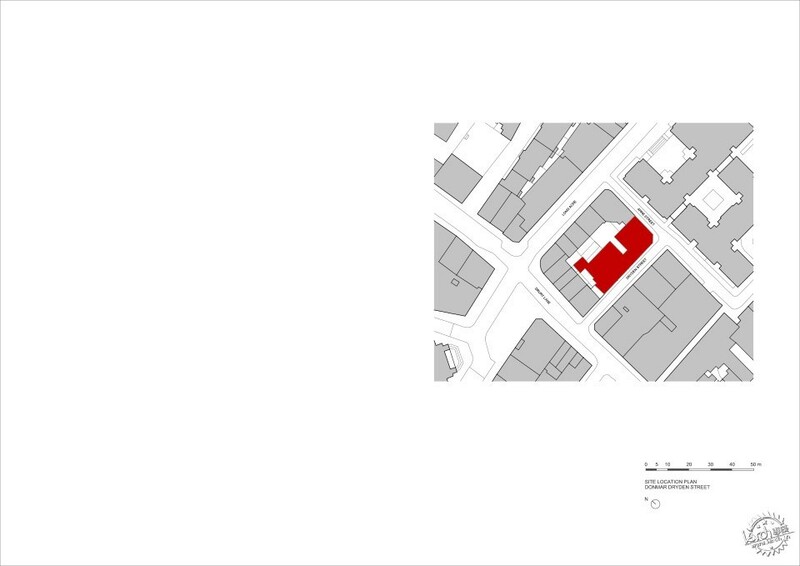 As for many of Haworth Tompkins’ creative working spaces in existing buildings, the personality of the historic architecture has been allowed to set the tone, with a provisional, loose-fit language of new additions setting up a fluid, adaptable relationship of new and old. 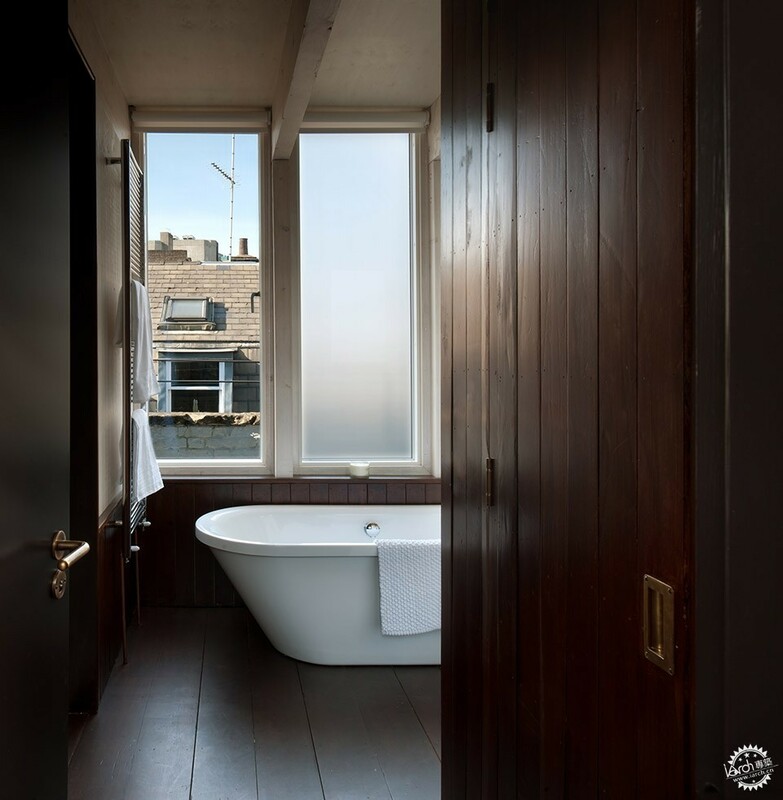 Materials added have been simple and straightforward - whitewashed plywood, painted timber beams and wall coverings, waxed mild steel - to complement the richly patinated texture of the found surfaces. 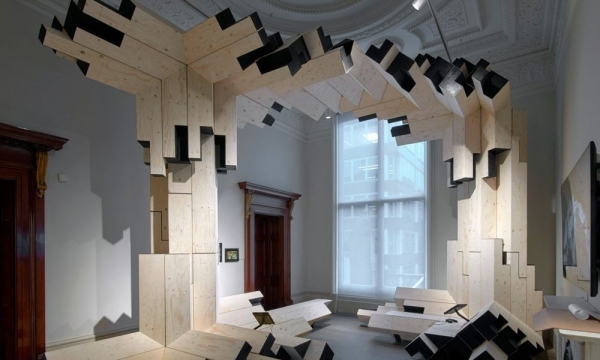 The aim is very much for a benign occupation rather than an obliteration of the original fabric.